Sageis a very popular herb to have in the garden, and with good reason. The fragrance and taste of its leaves are unlike anything else, making it very popular in cooking. Many gardeners simply stick to green sage, but an interesting alternative that’s gaining some real traction is tricolor sage. Tricolor sage plants are so exciting because they do double duty as a culinary herb and as an ornamental. Keep reading to learn more about growing tricolor sage and tricolor sage care. Tricolor sage (Salvia officinalis ‘Tricolor’) is mainly distinguished from its cousins by its leaves. Though the main color is green, the edges are bordered with uneven splotches of white and the interiors splashed with shades of pink and purple. The overall effect is a very pleasant, somewhat subdued mottling of color. Is tricolor sage edible? Absolutely! 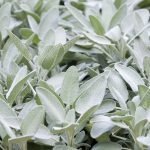 Its flavor is the same as that of any common sage, and its leaves can be used interchangeably in any recipe that calls for sage. If you don’t want it for culinary purposes, simply growing tricolor sage plants in the garden as ornamentals works too. 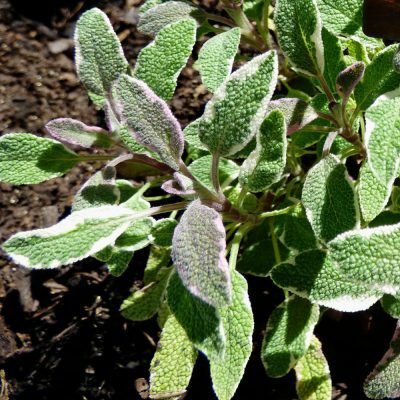 Tricolor sage care is extremely easy. The plants do best in full sun, though they can tolerate a little bit of shade. They tend to grow to between 1 and 1.5 feet tall and wide. They prefer drier, sandier soil, and will tolerate both acidic and alkaline conditions. They tolerate drought well. In midsummer, they produce beautiful blue to lavender flowers that are very attractive to butterflies. Apart from the color of the leaves, the biggest thing that sets tricolor sage apart is its tenderness to cold. While green sage is quite winter hardy down to USDA zone 5, tricolor sage really only survives down to zone 6. If you live in a cooler climate, it may be a good idea to plant your tricolor sage plants in containers that can be brought indoors in the winter. Read more articles about Sage.